“I’ll never use them again — not after the bad service I got from the sales person”! “I will never put my foot in that restaurant again — their service is slow and the waiter was downright rude to me”! Read something like that on social media recently or overheard someone telling a group of friends? Isn’t it crazy how quickly people make up their minds about a company or a restaurant chain through one bad experience? One person can cause massive damage to the reputation of a seemingly untouchable company. As the saying goes, “It takes a lifetime to build a reputation, and just a second to lose it”. In the current world of digital media it is becoming harder and harder to protect a company from the foolish mistakes of its employees. If only one could have a tighter rein on the public reputation of a company. While it’s virtually impossible to keep people from doing and saying foolish things, there are other ways in which a company can ensure its public face is kept sparkling clean. In today’s day and age with the accessibility most employees have to a computer, companies need to keep a tight rein on what its clients receive from them in terms of visual communication. One badly laid out invoice header or a pixelated logo at the bottom of an email can put a serious chink in the reputation of a company that appears to be a professional market leader. Without strict control over its brand reputation a company can quickly fall foul of a public that is very quick to judge. This ought to beg the questions from the companies wishing to keep their best foot forward — do we have a brand manual that specifies exactly how the brand should be handled? Have we got a full set of stationary and digital files that our employees are well versed at using? Protecting your companies brand is an on-going process. Files can quickly become degraded or even saved at the wrong resolution automatically by ones email software, leading to stretched branding images or even incomprehensible visuals. And, what’s more, with the rise of phishing mails using very similar branding and visuals as many of the larger corporates, a company must make sure their window to the public is kept consistent and professional or your clients will be unable to recognise that it’s not correspondence from you. 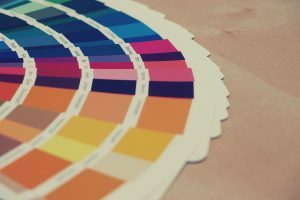 A Brand Manual or style guide will enable both internal employees as well as well as outside content creators strict guidelines within which to manage the brand ensuring your band’s reputation is held high. 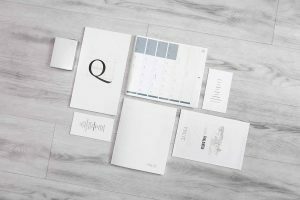 A style guide can be set up when the company goes through a rebranding process or even when the company just wants to freshen up they’re existing branding. Does your company have a Brand Manual? Have you seen or had access to your companies Brand Manual? Do you know what the guidelines are and have you been following them? Has someone been checking to ensure everything is working within the parameters of the guidelines? Just ask yourself, if your employees don’t have access to or know what’s in your companies Brand Manual, how will they ever be able to communicate a consistent message to your clients? To ensure you have an extensive Brand Manual, speak to your graphic designer, marketing team or advertising agency. About the author: For the past 27 years, Paul has worked as the founding member and Senior Graphic Designer for his own studio, TBND Design. Paul has a deep love for great design and takes a keen professional interest in a number of design fields. Throughout the years, Paul has acquired extensive experience in the development of solid client relationships: working hand-in-hand to develop detailed briefs that have given rise to creative design solutions and finalised designs intended for high-end printing and publication. Paul’s university degree in visual communication has enabled him to launch many new and established businesses to new heights of branding and commercial success.